So Jerry, how you doin' buddy? You know, I always wished Tom would do that to Jerry. 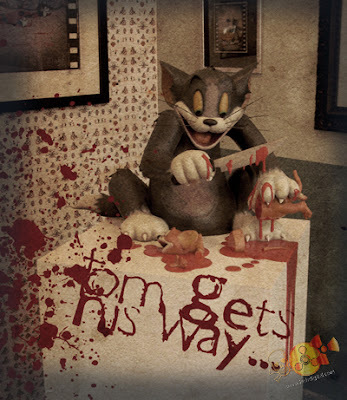 When I was a kid I had a Tom puppet that came with a plastic Jerry doll. I buried the Jerry in the back yard when I was about 6 years old. My father found it some 3 or 4 years later when he was digging a hole to plant a tree. Would it be wrong to say I enjoyed that?